New Delhi : Virat Kohli led Team India and its spinner Ravichandran Ashwin remained on top of the latest ICC Test rankings for cricket teams and bowlers. India took the first spot with 115 points, following them was their arch rival team Pakistan with 111 points. Team Australia occupy the third spot with 108 points while England is at fourth place followed by South Africa, Sri Lanka, New Zealand, West Indies with Bangladesh and Zimbabwe completing the list. 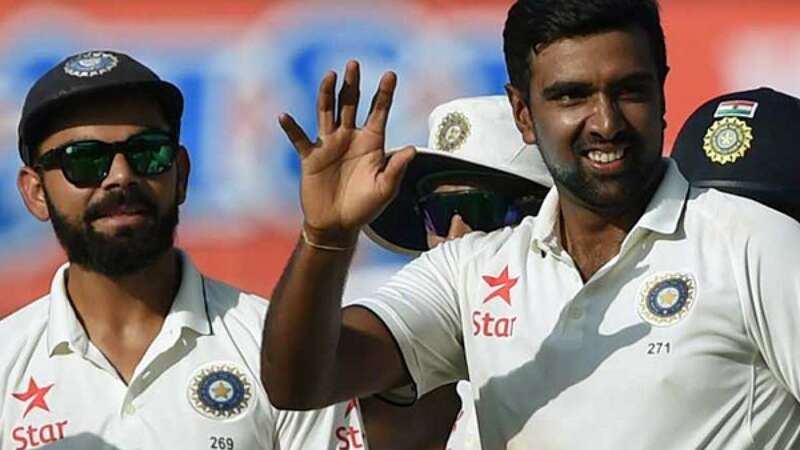 Indian off-spinner Ravichandran Ashwin, fastest to take 200 wickets in Test matches, headed the table of top bowlers with 900 points. South Africa’s pacer Dale Steyn followed him with 878 points and England's James Anderson (861) completing the top 3. Another Indian spinner Ravindra Jadeja managed to take fifth place with 805 points. In terms of best batsmen, Ajinkya Rahane was the top-ranked at sixth position with 825 points. Interestingly, Virat Kohli was placed at the 17th place despite scoring two double hundreds in the past two series.